Atlas Equator Mk II review | What Hi-Fi? 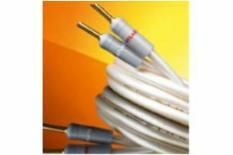 We threw a whole range of music at this cable, and it responded with a balanced, sure-footed sound, encompassing a smooth treble, supple midrange and solid bass. Detailing is well executed and production subtleties treated with respect – Hope Sandoval's vocals on Mazzy Star's Fade Into You fly from the speakers. It falls just short on dynamic expression, but for a mellow and refined listen, the Atlas is ideal.